First impressions count. Everybody knows that. Think about the first impression that your landscape design creates as potential clients and employees arrive at your facility. Does it show people that you are proud of your business or does your landscaping need some improvement? 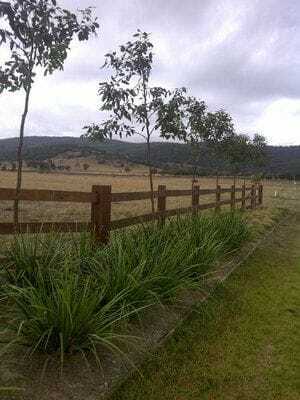 Hunter Fencing & Landscaping works with clients throughout the Upper Hunter providing commercial and industrial landscaping design and construction that leave a positive and lasting first impression. Our clients include commercial businesses, retail, horse studs, mining and many corporate business sectors. As well as our landscape design service, we provide a full range of commercial fencing from chain wire fences to high security fences. We often help commercial businesses with rejuvenation or facelifts of their outdoor areas rather than a complete re-design. 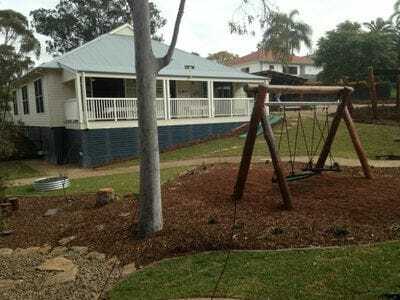 Hunter Fencing & Landscaping can manage as much or as little of your commercial landscaping project as you require. We can also work to existing architect plans or enhance them as required. We are committed to supporting the Upper Hunter industry and source many of our industrial and commercial landscaping products from local suppliers. Hunter Fencing & Landscaping values its employees and invests heavily in their training. We are also proud of our Workplace Health & Safety program and track record. All our landscapers are fully qualified or completing their apprenticeship. 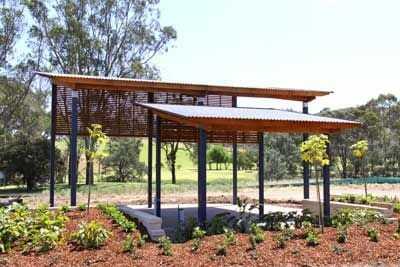 Our employees are also well presented and take a personal interest in every commercial landscaping project. To them, it's not just a job, but a lifestyle vocation that they love. Hines Construction. Singleton Gym and Swim. Richard Crooks Construction. Calvary Care Aged Care Muswellbrook. Newcastle Light Rail Project. Downer Group. Daracon. Third River Crossing Maitland. Hebden Road Rail.